Q. What is Bloomberg and how can I get the Bloomberg certification? Information on location of the terminal, how to reserve the computer, brief description of Bloomberg and how to complete the online Bloomberg training videos. Market professionals around the world depend on Bloomberg as their source for real-time market data and news for all market sectors. Bloomberg seamlessly integrates data, news, analytics, multimedia reports, e-mail, and trading capabilities into a single platform. 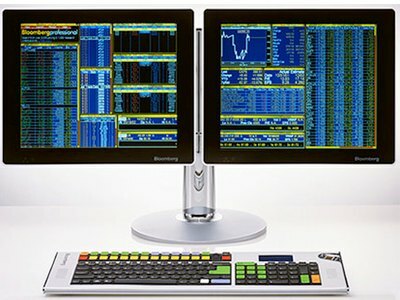 The library's Bloomberg terminal is accessible whenever the library building is open (see library hours). It is located at the Social Science Help Desk on Level 1 (map). Students and faculty can and should reserve the terminal up to three days in advance by going to http://bloomberg.lib.byu.edu/. If you come to the terminal without a reservation and it is not in use, remember to reserve it before you begin your session, otherwise another person might reserve it and you will be required to give up your seat. Bloomberg has created and recently revised a training course that will allow you to know some of the ins and outs of using the terminal. In order to receive the new certification, the Acknowledgement of Completion, you must take and pass with 75% or better a core exam as well as market sector exams. To access this training you will need to create your own Bloomberg account by hitting the default key, leaving the username and password blank, then filling out the required information. You can then type into the toolbar on the top to access the videos and exams.